The Philippine Eagle. Image credit: The Path Adventures by Johan Bergman. 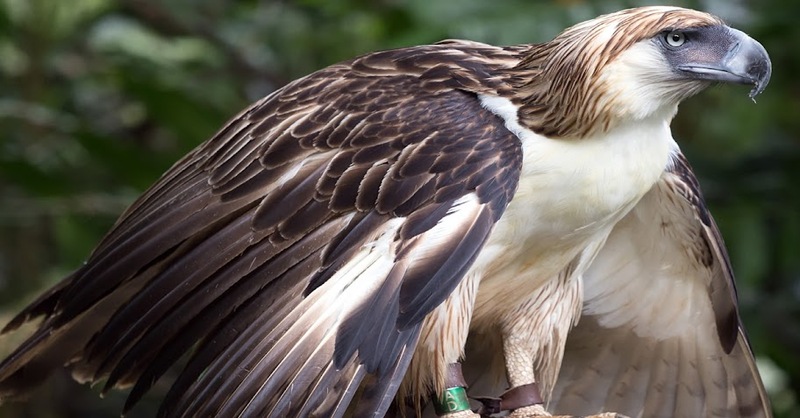 The recent killing of the Philippine eagle Pamana has once again brought into the nation’s consciousness the travails of trying to conserve even one of the nation’s certifiable icons. It is said that there are less than 250 Philippine eagles alive, which makes the species among the world’s most critically endangered. The Philippine eagle is actually just one of four species of eagles found in the country (Animals by Demand Media). Two of these, the Brahminy kite and the white bellied sea eagle, can be found in Australia, Southeast Asia and the subcontinent of India. The other two are endemic to the Philippines. 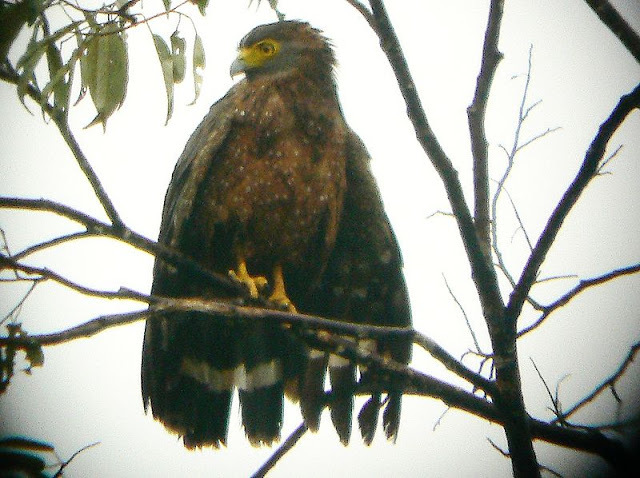 Apart from the Philippine eagle, the Philippine serpent eagle can be found nowhere but in the Philippine Islands. Of these two species, the Philippine eagle has earned more renown as much for its being the world’s largest eagle in terms of length and wing span as for the decline of its population due to habitat loss, hunting and the eagle’s own monogamous mating and reproductive behaviour. When I was a young boy in the sixties growing up inside Fernando Air Base, eagles were a fixture of the skies which we took for granted because they were always up there as long as the weather was fine. They flew high above the ground in circles sometimes all day long, riding as they did the currents in the upper atmosphere. Sometimes, they would come in pairs and cavort in the air like lovers flirting on the dance floor. They were a sight to behold, and sometimes we would stop playing to look up at the skies to marvel at these majestic birds that were a pretty sight up in the skies but which we never really got to see up close. We just referred to them as the ‘lawin,’ and being kids, we all just took it as fact that they retired to Mt. Maculot at sundown. Sometimes, the older kids would talk about this so-called monkey eating eagle, an eagle so large that it only preyed on monkeys. It was reassuring, or so we all thought, that these fearsome creatures were only to be found in Mindanao. Looking back now, chances are that the eagles that soared above Lipa, which was then already a city but still very agrarian in nature, was the Philippine serpent eagle. The bird is found in most of the country’s major islands and is often seen soaring above clearings and river valleys (Wikipedia). However, there was this one time when I was in high school and we had already moved out to a property a kilometre or so from the base. I was lazing outside on the veranda one morning looking at a mother hen and her chicks on the empty lot adjacent to our property. Suddenly, from the skies swooped a giant bird, picked up one of the chicks in its claws and was back up in the air within the blink of an eyelid. I was but 20 yards away and too stunned it took me a moment to realise what had just happened. I had seen eagles in captivity before, but for the first and only time in my life, I had just seen an eagle in the wild up close, swooping to catch prey. It was something that one only saw in movies and television documentaries. That moment remains etched in my mind to this day although it happened for no more than a split second. The bird’s plumage was brown on its topside. Underside, it was white. I would not realise it until years later, and I will not claim this for a fact, but that bird was likely a Philippine eagle. As kids, we used to think that the Philippine eagle was to be found only in Mindanao. However, in fact the specie used to be more widely dispersed around the country and can fly for thousands of miles. The only thing that I cannot reconcile is that the Philippine eagle is more of a forest creature in comparison to the Philippine serpent eagle. I suppose it does not really matter because whether it was one or the other that I saw, it was still something that few people had seen or will ever see, least of all in Lipa. Years went on and I myself went on with the business of living my life. I do not recall exactly when but one day I just looked up and just realised that there were no more eagles flying over Lipa. As our forests continue to recede, robbing these majestic birds of not only their habitat but also prey to hunt, and as long as idiots with guns continue to shoot rather than admire the birds when they are in flight, one day there will be no more eagles anywhere in this country. That is sad to even think about.